We have dedicated obstetrics and gynaecology suite which is housed in level 2 of the hospital. 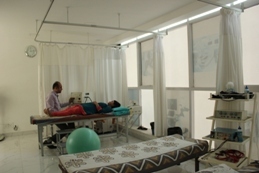 It provides a unique and comfortable stay for all types of gynaecological care. Our exclusive delivery suites provide a personal and a comfortable space for the mother new born and their family. 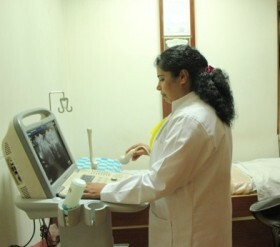 The private suite of Rajshekar maternity care provide you a world class birthing experience. The team at Rajshekar maternity care headed by Dr.Sudha Ramesh brings with her more than 25 years of Experience in obstetrics and gynaecology. The department of orthopedics and trauma is managed by a team of orthopedic surgeons we are capable of handling complex trauma cases. Minimally invasive Arthroscopy surgeries of Shoulder and Knee. Assisted by a professional physiotherapy and rehabilitation team we will get you up on your feet in no time. 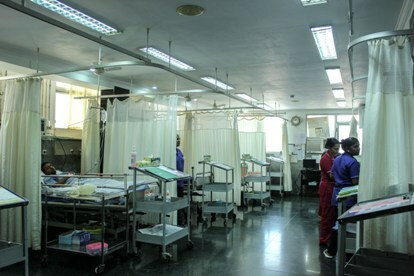 The Department of Surgery at Rajshekar Hospital offers a full range of surgical specialties including breast surgery, bariatric surgery, plastic and reconstructive surgery, vascular surgery and urological Surgeries. Our team of surgeons offer minimally invasive surgery like Laproscopic surgery,endoscopy, colonoscopy. The department under Rajshekar Home medical services offer complete physiotherapy services to clients both inpatient and outpatient. Our latest Physiotherapy centre adjacent to the hospital has all latest physiotherapy equipments and we provide full-fledged physiotherapy services in a spacious and state of the art place . Our team of physiotherapist provide – orthopedic and neurological physiotherapy, electrotherapy, manual therapy dry needling, antenatal and post natal classes .